There are many ways to get to Coastal Georgia: two major airports, an extensive network of roadways, and passenger rail. Both Interstate 95 and U.S. Highway 17 run north to south along the coast, so you can get from one point to another quickly by automobile. Getting to Georgia’s Coast couldn’t be easier. Savannah/Hilton Head International Airport (SAV) offers 45 non-stop daily arrivals from a selection of five airlines: American, Delta, JetBlue, United or US Airways. Once you’re here, the knowledgeable staff with the SAV Visitor Information Center, located in the heart of baggage claim, is happy to assist you with turn-by-turn directions, transportation advice, mailing a package, Georgia lottery sales and sending a fax. You can also fly in to the heart of the coast - to Brunswick Golden Isles Airport (BQK), which offers daily service to/from Hartsfield-Jackson Atlanta International Airport (ATL) via the Delta Connection aboard 50-passenger Canadair jets. It's a short 37-minute flight. 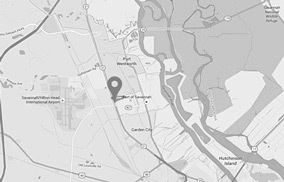 McKinnon St. Simons Island Airport is a bustling general aviation facility serving St. Simons-Sea Island business and vacation travelers with the most up-to-date services in an atmosphere of an island getaway. 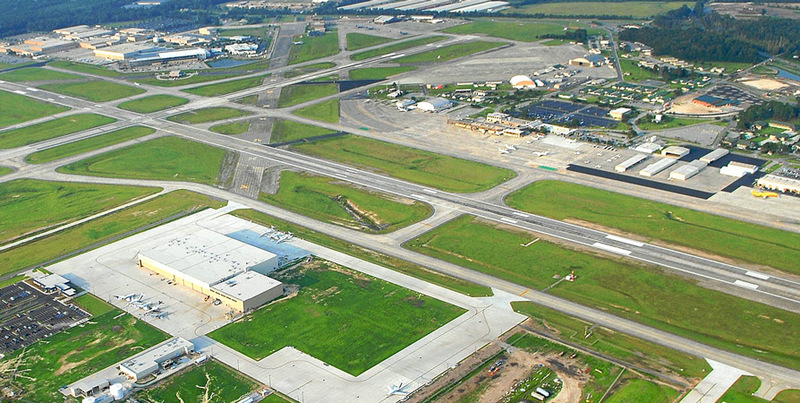 To fly in to the southern end of Georgia’s Coast, you may find it convenient to use Jacksonville International Airport in Jacksonville, Fla., only 30 minutes south of St. Marys and Kingsland, Ga. Eight airlines serve Jacksonville from numerous cities around the U.S. Taxi cabs are located on the lower level of Savannah/Hilton Head International Airport , outside of baggage claim, and are available on-demand for service to any destination. Brunswick Golden Isles Airport offers three rental car agencies located inside the terminal. Services of transport companies are also available, and shuttle service is provided by the Sea Island Company and the Federal Law Enforcement Training Center (FLETC) for persons doing business with those two entities. 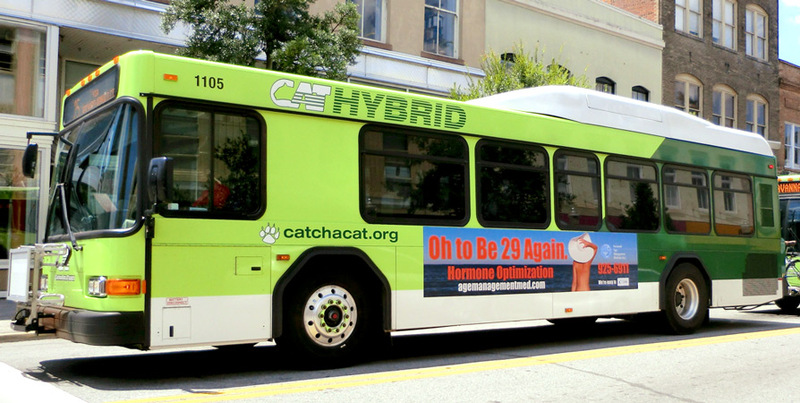 Chatham Area Transit (CAT) buses run to and from Savannah/Hilton Head International Airport on a daily basis, servicing many locations in the Savannah area. Please visit CAT's website or call 912-233‑5767 for details and schedules. 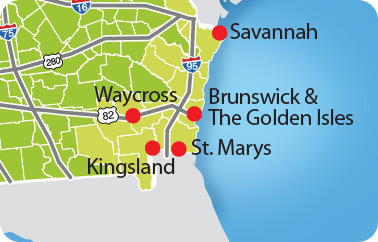 Outside Savannah, public transportation is provided by Coastal Regional Coaches , the regional rural public transit program that provides advance reservation transit service. To schedule a trip, please call 1‑866‑543‑6744 at the time you book your flight or at least 24 hours prior to your pick up. Amtrak’s Silver Meteor and the Silver Star passenger trains connect New York City and Miami with stops at dozens of destinations including Savannah. Or, enjoy an enhanced travel experience in Business Class on the Palmetto. As you take the Palmetto from New York City to Savannah, GA, you'll be treated to a unique picture of the American South. Select a which map you want to view.